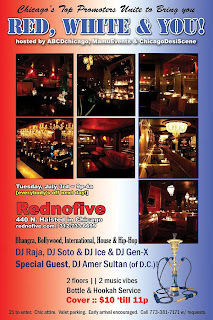 ABCDchicago, MamuEvents & ChicagoDesiScene invite you to party with Chicago's classiest and sexiest crowds at our annual pre-Independence Day Bash! 21 to enter. Chic attire. Valet parking available. Call 773-381-7171 with party inquiries and special requests.